Chrysin (CH) or 5,7-dihydroxyflavone is a flavonoid present in various plants, bee propolis, and honey. Cyclophosphamide (CYP) is a chemotherapeutic drug, which is extensively used in the treatment of multiple human malignancies. In our study, we aimed to investigate the effects of CYP and CH on some metabolic enzymes including carbonic anhydrase, aldose reductase, paraoxonase-1, α-glycosidase, acetylcholinesterase, and butyrylcholinesterase enzyme activities in the brain, heart, testis, liver, and kidney tissues of rats. Thirty-five adult male Wistar rats were used. The animals were pretreated with CH (25 and 50 mg/kg b.w.) for seven days before administering a single dose of CYP (200 mg/kg b.w.) on the seventh day. In all the tissues, the treatment of CH significantly regulated these enzyme activities in CYP-induced rats. These results showed that CH exhibited an ameliorative effect against CYP-induced brain, heart, liver, testis, and kidney toxicity. Diabetes is a heterogeneous metabolic disorder that is characterized by an abnormal increase of blood glucose level over the range of 126 mg/dl in fasting condition. Prolonged stay of glucose in blood leads to hyperglycaemia, which is an established index of diabetes development. Chronically, this high blood sugar predisposes to different types of complications. Hyperglycaemia is a key factor in the pathogenesis of diabetic complications by increasing protein glycation and gradual buildup of advanced glycated end products (AGEs) in body tissues. ...Antioxidant-rich diets have been proposed as attractive candidates for diabetes management. Recently, a study reported the binding mechanism of phytochemicals with two enzymes (-amylase and -glucosidase) to ameliorate their antidiabetic and antiglycation potentials. It is also intrigued that amylose-antioxidants complex formation may modulate starch digestion. One of the natural products is palatable honey which is a juicy excretion of honeybees and is derived from nectar of plant flowers. In other words it is true to say that bioactive compounds/antioxidants in honey come from plant (floral) origins.However, in comparison with the other plant based natural products, antioxidants in honey are readily available to consume in delicious semi-liquid form due to sugar contents. Thus, the consumption of floral/plant based antioxidants through honey suppress oxidative stress to prevent vital body organs from free radicals/ROS attacks. It also decreases starch digestibility in gastrointestinal tract, reducing blood glycaemic response.Therefore, due to high antioxidative potential honey seems to be a highly efficacious and effective supplement for many of the pathologies/ailments. But diabetic patients are reluctant to use this natural honeybee produce. ...In light of above described facts, prospective research is warranted to identify different floral origins from which honeys are derived/produced. Hopefully, in futuristic studies low glycaemic indexed honey(s) will be exploited as natural healthy alternative sweetener(s) to refined sugar and antioxidant suppressant by preventing harmful effects of ROS. 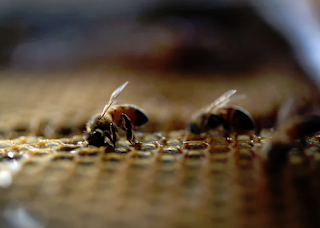 Furthermore, vital honey(s) along with floral origin(s) can be exploited at commercial scale in the form of honeybee farms for diabetic patients. Acetozolamide-ACZ, carbonic anhydrase inhibitor- is still the most effective systemic drug for glaucoma treatment. Due to its limited ocular bioavailability, topical formulations are not available yet. This study introduces within the framework of nanotechnology three nanopreparations of acetozolamide for topical application, one of them is liposomal phospholipid vehicle and the other two preparations are propolis and Punica granatum (pomegranate). The hypotensive effect of these different nanopreparations in lowering the increased intraocular pressure that was induced in experimental rabbits is monitored for 130 hrs. Structural characteristics of the optic nerve dissected from all involved groups were studied by Fourier transfrom infrared spectroscopy. The obtained results indicate the impact of the topically applied acetozolamide nanopreparations in lowering the intraocular pressure to its normotensive control value. On the other hand, the optic nerve characteristics were found to be dependent on the way acetozolamide introduced. Glaucoma affects structural components that contain OH group and increases β-turns of the protein secondary structure while, reducing the content of both α-helix and Turns. In the same context, liposomal-acetozolamide and propolis nanopreparations protecting the optic nerve protein secondary structure from these changes associated with glaucoma. Periodontal disease is associated with chronic oxidative stress and inflammation. Caffeic acid phenethyl ester (CAPE), which is a potent inducer of heme oxygenase 1 (HO1), is a central active component of propolis, and the application of propolis improves periodontal status in diabetic patients. 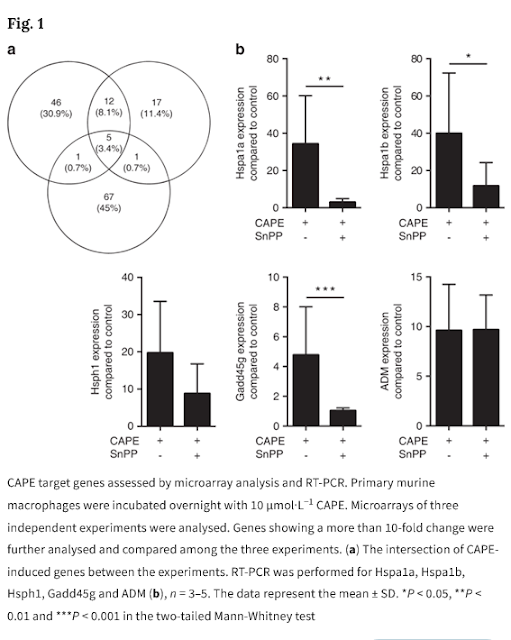 Here, primary murine macrophages were exposed to CAPE. Target gene expression was assessed by whole-genome microarray, RT-PCR and Western blotting. The antioxidative and anti-inflammatory activities of CAPE were examined by exposure of the cells to hydrogen peroxide, saliva and periodontal pathogens. The involvement of HO1 was investigated with the HO1 inhibitor tin protoporphyrin (SnPP) and knockout mice for Nrf2, which is a transcription factor for detoxifying enzymes. CAPE increased HO1 and other heat shock proteins in murine macrophages. A p38 MAPK inhibitor and Nrf2 knockout attenuated CAPE-induced HO1 expression in macrophages. CAPE exerted strong antioxidative activity. Additionally, CAPE reduced the inflammatory response to saliva and periodontal pathogens. Blocking HO1 decreased the antioxidative activity and attenuated the anti-inflammatory activity of CAPE. 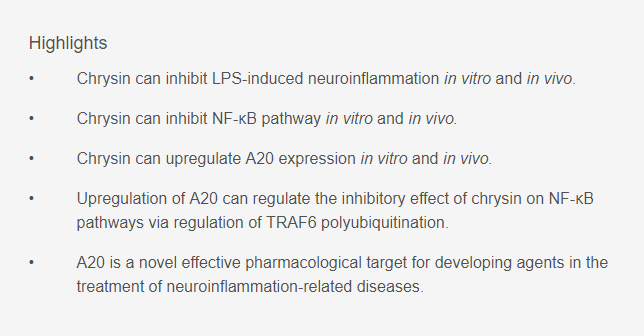 In conclusion, CAPE exerted its antioxidative effects through the Nrf2-mediated HO1 pathway and its anti-inflammatory effects through NF-κB inhibition. However, preclinical models evaluating the use of CAPE in periodontal inflammation are necessary in future studies. Ischemia reperfusion (I/R) injury which causes kidney dysfunction is one of the most studied diseases directly linked to oxidative stress. In this regard, it is important to protect cells against damage by inducing antioxidant response. Herein, we aimed to evaluate the therapeutic roles and possible mechanisms of propolis and boric acid in kidney I/R injury based on relevant basic research and clinical studies. Sprague-Dawley rats were subjected to 50 min of ischemia followed by 3 h of reperfusion. 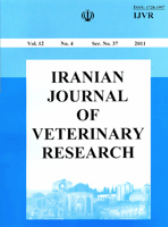 Animals were randomly divided into a control group (the abdominal wall was just opened and closed), an I/R injury group, the propolis intervention group (200 mg/kg, intragastric administration, 1 h before ischemia), boric acid intervention group (14 mg/kg, intragastric administration 1 h before ischemia), and the propolis + boric acid intervention group (intragastric administration 1 h before ischemia). Kidney function, the antioxidant defensive system, and renal damage were assessed. In addition, the oxidative stress and inflammatory status were estimated in renal tissue. Furthermore, DNA damageand apoptosis were detected by immunohistochemistry. When compared with I/R group, propolis alone and especially propolis + boric acid groups significantly improved functional parameters. While the antioxidant response was increased, renal injury size and apoptosis were significantly decreased in both groups. Also, the MDA and TNF-α levels besides the 8-OHdG formation were downregulated. According to these outcomes, it can be said that especially propolis together with boric acid ameliorates kidney injury caused by I/R through acting as an antioxidant, anti-inflammatory, and antiapoptotic agent. 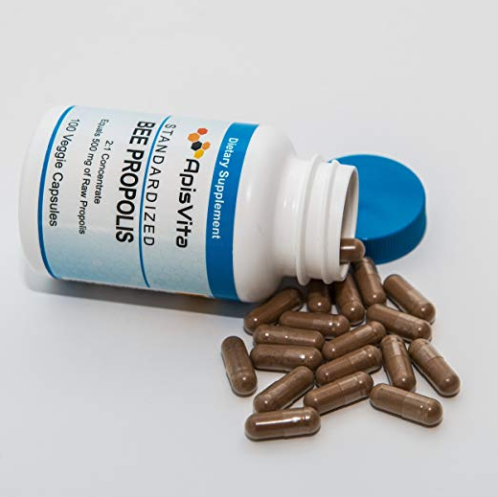 In conclusion, propolis alone and its combination with boric acid could be developed as therapeutic agents against serious renal I/R injuries. Since early times, propolis has been used in folk medicine. 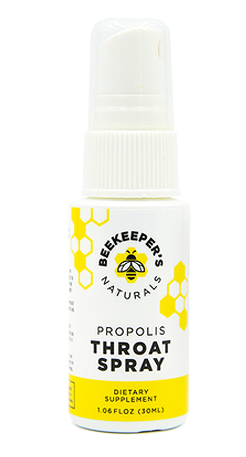 The red propolis, collected in the northeast region of Brazil has been highlighted due to its popular use as an antimicrobial, with anti-inflammatory and healing properties, which are associated with its chemical composition. Here, we combine a bacterial membrane with red propolis to treat wounds of diabetic mice. This work aims to evaluate a biocurative from bacterial cellulose associated with red propolis in diabetic mice as wound healing model. Biocuratives from bacterial cellulose membrane and different extracts of red propolis were produced. The qualification and quantification of the presence of propolis chemical compounds in the membrane were investigated through high-resolution mass spectrometry (HRMS). Tests in vivo with biocuratives were performed on Swiss male diabetic mice induced by estroptozotocin. The animals were submitted to a surgical procedure and a single lesion was produced in the dorsal region, which was treated with the biocuratives. Macroscopic assessments were performed at 2, 7 and 14 postoperative days, and biopsies were collected on days 0, 7 and 14 for histological analysis, myeloperoxidase enzyme activity (MPO) and cytokines (TNF-α, IL-1β, and TGF-β). Altogether, ten compounds were identified in membranes and five were further quantified. The ethyl acetate extract showed more red propolis markers, and the most prevalent compound was Formononetin with 4423.00-2907.00 μg.g-1. Macroscopic analyses demonstrated that the two groups treated with red propolis (GMEBT and GMEAE) showed significantly greater healing capabilities compared to the control groups (GS and GMS). An increase in leukocyte recruitment was observed, confirmed by the activity of the enzyme myeloperoxidase (MPO) in GMEBT and GMEAE groups. The levels of TNF-α were significantly higher in wounds stimulated with red propolis, as well as in TGF-β (GMEBT and GMEAE) on day 7. This was different from the IL-1β levels that were higher in the control groups (GS and GMS). In summary, the biocuratives produced in this work were able to accelerate the wound healing process in a diabetic mouse model. In this way, the traditional knowledge of red propolis activity helped to create a biotechnological product, which can be used for diabetic wound healing purpose. Iran J Vet Res. 2018 Fall;19(4):246-254. The aim of this study was to compare the efficacy of honey bee venom (BV) and royal jelly (RJ) alongside chitosan scaffold (CS) in improving radius bone defect in rats. A total of 60 full thickness radial bone defects with a length of 5 mm were created in 60 male Wistar rats. Six healthy radial bones (3 rats) were also assigned as normal control for biomechanical studies. The defects were left empty (untreated group) or were filled by the autograft (autograft group), CS (CS group), CS alongside the BV solution (CS-BV group), and CS alongside the RJ solution (CS-RJ group). Healing of the bone defects were evaluated clinically and radiologically on days 0, 28, 42 and 56 after operation while the biomechanical testing and histopathological examination were performed on the 56th day after surgery. The autograft was more radiopaque than the untreated and CS groups at the 28th, 42nd and 56th postoperative days (P < 0.05). The CS-BV and CS-RJ groups showed significantly higher radiographic outcomes than the untreated and CS groups at the 56th post-operative day (P < 0.05). The density of osseous tissue (DOT) and the osteocytes and osteoblasts count of the CS-RJ and CS-BV groups were significantly higher than the CS and autograft groups (P < 0.05). The biomechanical results of the CS-RJ group were significantly superior to the autograft, while the biomechanical properties of CS-BV group were not significantly different with the autograft group (P > 0.05). The scaffolds in CS group were observable in the surgical site after 56 days. There was no significant difference in radiographs, DOT, cartilage tissue and fibrous tissue, and also biomechanical performances of the CS-BV and CS-RJ groups at the 42nd and 56th day after surgery. The untreated and CS groups showed weakest biomechanical results among all groups. It could be concluded that both treatment strategies in the CS-BV and CS-RJ groups were appropriate and useful in treating critical bone defects. Due to high content of fructose, honey has been introduced as a suitable natural sweetener for patients with type 2 diabetes. We investigated the effect of honey consumption on glycemic control and anthropometric measures of patients with type 2 diabetes. This randomized controlled crossover clinical trial was conducted on 53 patients with type 2 diabetes. The participants were randomly divided into groups of control (weight maintenance diet) or treatment (weight maintenance diet +50 g/day honey) for 8 weeks. After a 4-week washout, the second phase began, in which the role of the groups was interchanged. Blood glycated hemoglobin (HbA1c), glucose, insulin, and anthropometric characteristics were measured. Statistical analysis was performed with SPSS. Repeated measures of ANOVA were used to test differences within- and between the two conditions. Forty-two patients completed the study. HbA1c significantly decreased in control (-0.22%, P = 0.03) and nonsignificantly increased in honey condition (+0.17%, P = 0.22). There was a significant difference between the two conditions (P = 0.02). Fasting glucose did not significantly change in either honey or control condition but insulin concentrations (-0.85 μU/ml, P = 0.01) and insulin secretion (-10.7%, P = 0.01) decreased significantly in the control condition. There was no significant difference in any of these parameters between the two conditions. Waist circumference decreased by honey treatment with a significant difference between the two conditions (P = 0.02). Eight weeks consumption of 50 g/day honey increased HbA1c and decreased waist circumference of patients with type 2 diabetes. Antifungal activity of analogues of antimicrobial peptides isolated from bee venoms against vulvovaginal Candida spp. Candida albicans is the main causative agent of vulvovaginal candidiasis, a common mycosis in women, relapses of which are difficult to manage due to biofilm formation. This study aimed to develop novel non-toxic compounds active against Candida spp. biofilms. We synthesized analogues of natural antifungal peptides LL-III (LL-III/43) and HAL-2 (peptide VIII) originally isolated from bee venoms and elucidated their structures by nuclear magnetic resonance spectroscopy. The haemolytic, cytotoxic, antifungal and anti-biofilm activities of LL-III/43 and peptide VIII were then tested. LL-III/43 and VIII showed moderate cytotoxicity to HUVEC-2 cells and had comparable inhibitory activity against C. albicans and non-albicans spp. The lowest minimum inhibitory concentration (MIC90) of LL-III/43 was observed towards C. tropicalis (0.8 µM). That was 8-fold lower than that of antimycotic amphotericin B. Both peptides can be used to inhibit Candida spp. biofilms formation. Biofilm inhibitory concentrations (BIC50) ranged from 0.9 to 58.6 µM and biofilm eradication concentrations (BEC50) for almost all tested Candida spp. strains ranged from 12.8 to 200 µM. Also proven were the peptides' abilities to reduce area colonized by biofilm, inhibit hyphae formation and permeabilize cell membranes in biofilm. LL-III/43 and VIII are promising candidates for further development as therapeutics against vulvovaginal candidiasis. This study was performed to determine the effect of oral care using chlorhexidine, vitamin E and honey on oral mucositis (OM) management in children treated in a pediatric intensive care unit (PICU). 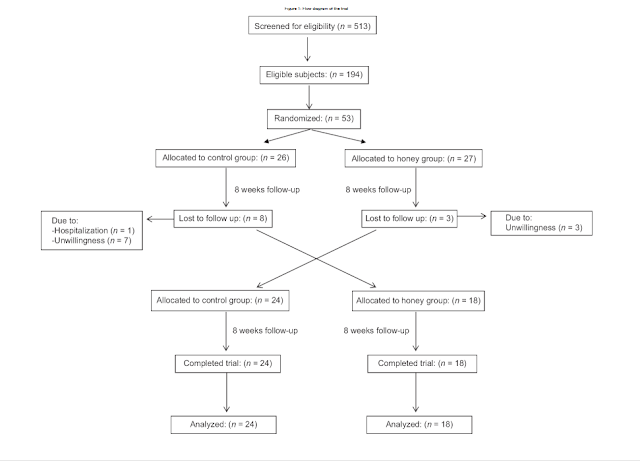 The study was a randomized controlled trial with a parallel design. The study sample was composed of 150 children who were treated in the PICU of a university hospital in Turkey. Children enrolled in the study were randomly divided into six groups based on the oral care solutions used (n = 25 in each group). The Demographic Information Form and the World Health Organization Oral Mucositis Index were used for data collection. The mucositis indices of the children presenting with and without OM upon admission to the PICU were compared on days 1, 3, 6, 9, 12, 15, 18 and 21 and the study found that the mucositis index values of the children treated with vitamin E were significantly lower than in the other groups (p < 0.05 for each), while those of the children given chlorhexidine were significantly higher than in the other groups (p < 0.05 for each). At the end of the study, vitamin E was determined to be the most effective agent in OM management, followed by honey as the second most effective agent. Chlorhexidine was found to be less effective in OM management compared to the other two agents. Based on this, vitamin E is recommended for use in oral mucositis-preventive and therapeutic oral care practices. The results of the present study conducted with PICU patients will be useful in the administration of oral care. These findings are also important for nurses who have the responsibility of oral mucositis management. Since Biblical times, honey has been utilized in "folk medicine", and in recent decades the positive qualities of honey have been re-discovered and are gaining acceptance. Scientific literature states that honey has been successfully utilized on infections not responding to classic antiseptic and antibiotic therapy, because of its intrinsic H₂O₂ production. In our study, we demonstrated the involvement of H₂O₂ as a main mediator of honey regenerative effects on an immortalized human keratinocyte cell line. We observed that this extracellularly released H₂O₂ could pass across the plasma membrane through a specific aquaporin (i.e., AQP3). Once in the cytoplasm H₂O₂, in turn, induces the entry of extracellular Ca2+ through Melastatin Transient Receptor Potential 2 (TRPM2) and Orai1 channels. 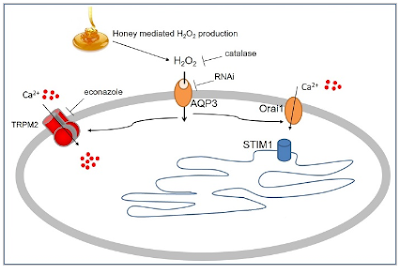 Honey-induced extracellular Ca2+ entry results in wound healing, which is consistent with the role played by Ca2+ signaling in tissue regeneration. This is the first report showing that honey exposure increases intracellular Ca2+ concentration ([Ca2+]i), due to H₂O₂ production and redox regulation of Ca2+-permeable ion channels, opening up a new horizon for the utilization of the honey as a beneficial tool. 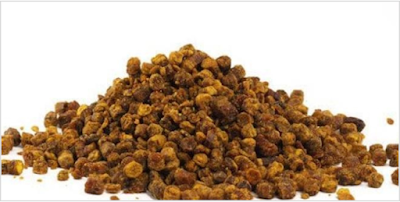 Schisandra chinensis bee pollen has been used as a health food in China for centuries; however, its bioactive constituents and functions are not very clear. 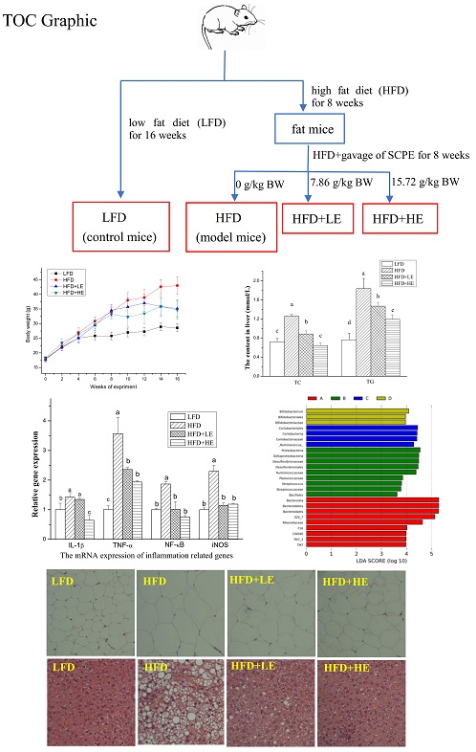 In this study, we investigated the phenolic compounds of Schisandra chinensis bee pollen extract (SCPE) by UHPLC-Q-Orbitrap-HRMS/HPLC-DAD-ECD and its prevention from nonalcoholic fatty liver disease (NAFLD) and modulation of gut microbiota in high fat diet induced obese C57BL/6 mice. The results showed that 12 phenolic compounds were identified in SCPE, and naringenin, rutin and chrysin were the main constituents. The content of naringenin reached 1.89 mg/g, and total phenolic content (TPC) of SCPE were 101.83 mg GA/g. After obese mice were administrated with SCPE at 7.86 and 15.72 g/kg BW for 8 weeks, body weight gains were reduced by 18.23% and 19.37%. SCPE could decrease fasting blood glucose, cut down the lipid accumulation in serum and liver, lessen oxidative injury and inflammation in obesity mice. Moreover, SCPE could effectively inhibit the formation of NAFLD by inhibition of LXR-α, SREBP-1c and FAS genes expression, and modulate the structural alteration of gut microbiota in obesity mice. These findings suggested that SCPE could attenuate the features of the metabolism syndrome in obesity mice, which can be used to prevent obesity and NAFLD of human beings. The aim of this study is to determine the effectiveness of sialang honey on wound bed preparation in diabetic foot ulcer. The study design was quasy experiment with one group pre test post test design approach. The sampling technique used was consecutive sampling, where respondents were selected based on the criteria that had been planned. Instrument used in this study was wound bed score, where the measurement results will be analyzed using Wilcoxon test with 95% confidence level. Result of this study was average wound bed score before intervention was 2.75 and became 9.25 after the intervention on a scale of 0-16. Wilcoxon test in this study obtained p value 0.011 with the conclusion that sialang honey had a significant effect on wound bed preparation in diabetic foot ulcer. 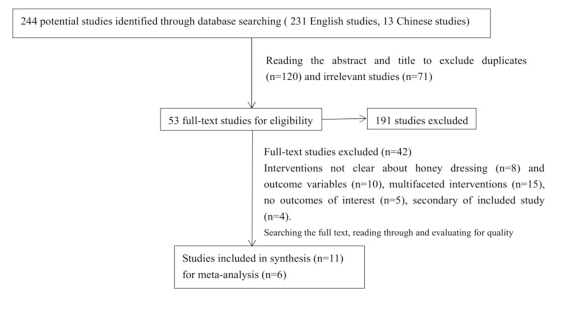 Statistically, honey can help the occurrence of wound bed preparation in diabetic foot ulcer. Propolis is a resinous substance produced by bees and known to possess antioxidant, antimicrobial, antiproliferative and anti-inflammatory activities. 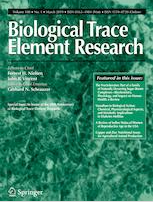 this study is aimed at evaluating the in vivo and in vitro anti-inflammatory potential of the crude ethanolic extract (CE) of Lebanese propolis and its ethyl acetate fraction (EAF). 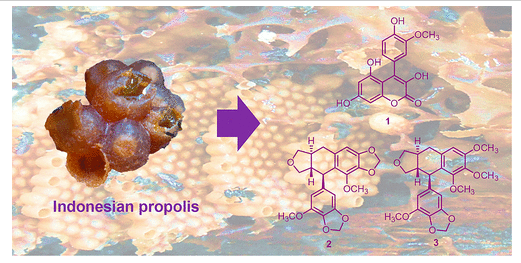 Chemical content of propolis was characterized using high-performance liquid chromatography and LC-MS/MS. COX-2 and iNOS protein expression, nitric oxide (NO) and prostaglandin (PGE2) release in LPS-activated RAW monocytes were achieved respectively by western blot and spectrophotometry. Antioxidant activity was evaluated by DPPH free radical scavenging assay. Measurement of paw thickness in carrageenan-induced paw edema in mice and pathologic assessment of inflammation in paw sections were used to judge the anti-inflammatory properties of propolis. Pathology analysis revealed in the treated group significant reduction of immune cell infiltration and edema. Both extract and ethyl acetate fraction showed significant anti-inflammatory and antioxidant effects in LPS-treated RAW cells characterized by the inhibition of COX-2 and iNOS protein expression, as well as PGE2 and NO release. Chemical analysis of the crude extract and its ethyl acetate fraction identified 28 different compounds of which two phenolic acids and nine other flavonoids were also quantified. Among the most representative compounds was the following: ferulic acid, caffeic acid, chrysin, galangin, quercetin, and pinocembrin. Lebanese propolis is rich in various amount of flavonoids which showed promising anti-inflammatory and antioxidant properties. Additionally, chemical analysis showed unique chemical compositions with the potential of identifying ingredients with interesting anti-inflammatory activities. Our study aimed to evaluate the effect of the ethanol extract of Chinese propolis (EECP) on early DR in streptozotocin (STZ)-induced diabetic rats. EECP was given to diabetic rats by oral intubation for 12 weeks. The concentrations of fasting blood glucose (FBG), glycated hemoglobin (HbA1c), malondialdehyde (MDA), reactive oxygen species (ROS), and reactive nitrogen species (RNS) were measured. Pathological examinations, including hematoxylin and eosin (HE) staining, transmission electron microscopy (TEM), and immunofluorescence, were also conducted to provide further evidence of EECP's effect on early DR. EECP was able to attenuate diabetes via directly decreasing the levels of FBG and HbA1c, which also resulted in the reduction of MDA, ROS, and RNS. Furthermore, EECP could protect against the damages of photoreceptor cells, as well as retinal thickening. And the inhibition of blood-retinal barrier (BRB) leakage was also observed in EECP-treated diabetic rats, along with the inhibition the loss of tight junction proteins (occludin, ZO-1). 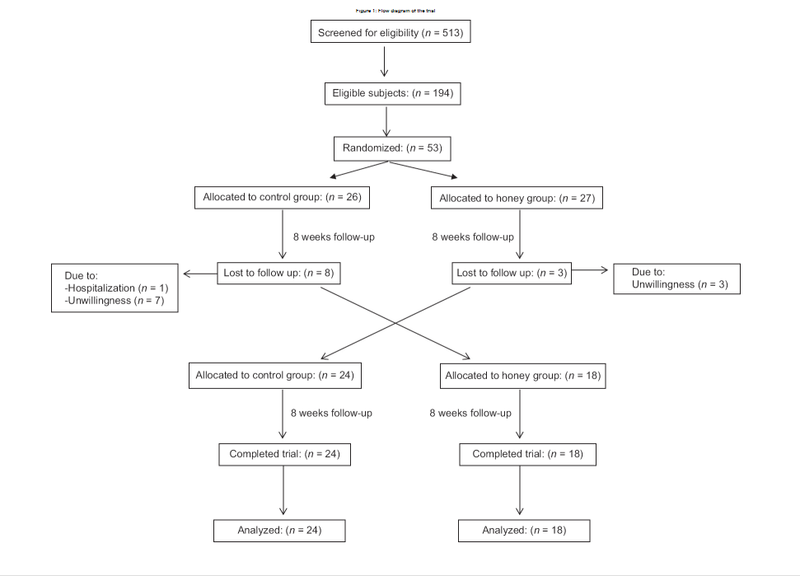 These results suggest that EECP has an ameliorating effect on early DR by inhibition of blood-retinal barrier breakdown. PRACTICAL APPLICATION: This study sheds light on the protective effect of the ethanol extract of Chinese propolis on early diabetic retinopathy and the molecular actions underlying the inhibition of blood-retinal barrier breakdown. Oral mucositis is one of the main adverse events of cancer treatment with chemotherapy or radiation therapy. It presents as erythema, atrophy or/and ulceration of oral mucosa. It occurs in almost all patients, who receive radiation therapy of the head and neck area and from 20% to 80% of patients who receive chemotherapy. There are few clinical trials in the literature proving any kind of treatment or prevention methods to be effective. Therefore, the aim of this study is to perform systematic review of literature and examine the most effective treatment and prevention methods for chemotherapy or/and radiotherapy induced oral mucositis. Clinical human trials, published from 1 January 2007 to 31 December 2017 in English, were included in this systematic review of literature. Preferred reporting items for systematic reviews and meta-analysis (PRISMA) protocol was followed while planning, providing objectives, selecting studies and analyzing data for this systematic review. "MEDLINE" and "PubMed Central" databases were used to search eligible clinical trials. Clinical trials researching medication, oral hygiene, cryotherapy or laser therapy efficiency in treatment or/and prevention of oral mucositis were included in this systematic review. Results: Results of the studies used in this systematic review of literature showed that laser therapy, cryotherapy, professional oral hygiene, antimicrobial agents, Royal jelly, L. brevis lozenges, Zync supplementation and Benzydamine are the best treatment or/and prevention methods for oral mucositis. Conclusions: Palifermin, Chlorhexidine, Smecta, Actovegin, Kangfuxin, L. brevis lozenges, Royal jelly, Zync supplement, Benzydamine, cryotherapy, laser therapy and professional oral hygiene may be used in oral mucositis treatment and prevention. In 2007, manuka honey was approved by the U.S. FDA for treating wounds, Berkheiser wrote. Studies show that manuka honey can speed up tissue repair and ease pain, which makes it a powerful, natural option for burns and tissue injuries. Brissette notes, however, that the honey used in these studies was medical-grade, so it's preferable to seek a doctor's advice if you have a serious wound. Studies shows that manuka honey boasts some serious antimicrobial effects. MGO combined with dihydroxyacetone, two chemical substances with high antimicrobial properties, and other bioactive compounds, such as flavonoids and polyphenol, give manuka honey its healing potency, researchers say. Grace Gold wrote for Women's Health that a manuka honey face mask might be just what you need to clear up skin irritations and breakouts. Given its power to destroy bacteria and pathogens, manuka honey can kill the bacteria that clog pores and lead to acne. Since manuka is anti-inflammatory too, it can also help soothe red, angry-looking skin and decrease overall inflammation. A manuka honey face mask can also help exfoliate your skin by sloughing off dead skin cells, Gold wrote. "For a manuka honey mask: Apply two teaspoons of manuka honey to your face and leave it on for two minutes. Gently rinse with warm water," says Brissette. According to a study published in The Saudi Dental Journal in 2014, manuka honey can actually make your teeth and gums healthier. Twenty teenaged participants chewed some manuka honey daily, and researchers found they had lower incidence of gingivitis than positive and negative controls. Based on this small study, manuka honey can produce significant improvements in overall oral health, the researchers said. According to Amy Long Carrera writing for SFGate, given that manuka honey has such powerful antimicrobial properties, it's can offer a major boost to the immune system, in addition to its tissue repair effects. She cites a 2007 study published in the Journal of Leukocyte Biology for this link. Modern wound management continues to present new challenges. Many patients elect to forego operative debridement secondary to high risk, fear, cost concerns, and personal ideologies on healing. Although operative debridement has long been a tenet of proper wound care, alternative innovative approaches to wound management must be considered. This case series describes the successful outcomes of 12 patients with dissimilar wounds who were managed with medical-grade honey (active Leptospermum honey [ALH]) as an alternative to surgery. A case series was identified from clinical experience, chart review, and photographic documentation of all patients evaluated by the acute wound care service. To be included, patients had to decline the recommendation of operative debridement or skin grafting, utilize ALH as an alternative to surgery, and have regular follow-up visits. Twelve patients with complex wounds were identified and included in this case series. Five patients were considered high risk for surgery due to comorbidities. Seven patients were at low risk for surgery but desired to avoid operative procedures. The use of ALH facilitated autolytic debridement and healing without surgery or hospital readmission. The properties of ALH include autolytic debridement, bacterial growth inhibition, anti-inflammatory mediation, and cytokine release, making it a viable option for wound management for patients with contraindications to surgery. However, surgical debridement should remain a tenet of wound care in appropriate patients. In the present case series, wound healing was facilitated by the autolytic debridement as well as antibacterial properties of ALH. Active Leptospermum honey is a viable option for wound management in patients with complex wounds, age-related clinical comorbidities precluding operative intervention, and patients desiring conservative management of their wounds. Randomized, controlled trials are needed to further investigate the properties of ALH in a controlled fashion, but given the many variables associated with patients and wounds, this is a challenge.